For those interested in further studies of the topics discussed on this website, we have collected and written useful essays you may read. Currently, the entries are alphabetically sorted; as more content becomes available, we will sort them according to theme. Feel free to send us links to articles you believe might be of interest. The following essays deal with themes that will be more meaningful for students of Gaudiya Vaisnavism who have already mastered the basics on theology and history. Available in PDF format. A thorough review of three works, namely Chaitanya Upanishad, Navadvipa Satakam and Prema Vivarta, that are suspect as being later works attributed to Vyasa and Chaitanya's companions. 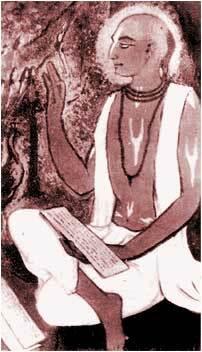 An investigation into the relation between Bipin Bihari Goswami and his disciple, Kedarnath Datta Bhaktivinoda. Includes notes on the controversy surrounding the location of Chaitanya's birthplace. A thorough introduction to pronouncing Sanskrit and reciting various poetic meters, contains numerous examples of the different kinds of meters from various scriptures. This article deals with the institutionalization of Gaudiya Vaishnavism in the 16th century, as well as subsequent developments until the dawn of the 19th century, providing heaps of useful information on the structure of the tradition. An investigation of the controversial issue of the connection of Madhavendra to the Madhva sampradaya, examining the historical facts surrounding the early Madhva-teachers connected to the Gaudiya tradition. A well-researched overview of the life and writings of Jiva Goswami, one of the great leaders and perhaps the most eminent among the scholars of the early Gaudiya Vaisnava sampradaya. Establishing the esoteric link to Radha and Krishna. This essay glosses the doctrinal basis of siddha-pranali, a concept at the heart of raganuga-bhakti. This article discusses three controversial questions related to Prabodhananda Saraswati, namely his identity and relationship with Prakasananda Sarasvati, his relationship with Hita Harivamsa, and the authorship of Radha-rasa-sudhanidhi. Studying the controversy over the authorship of Radha-rasa-sudhanidhi and the relationship of Gaudiya Vaisnavism and the Radha-vallabhi-sampradaya, the followers of Hit Harivams. A collection of references related with the 32-syllable Hare Krishna Maha-mantra, compiled from sources predating Chaitanya and from the writings of his followers. Reflections on the controversy over the siddha-svarupa's inherence in the living entity and the positions of sat, cit and ananda vis-a-vis hladini, sandhini and samvit in the context. Reviewing arguments on the authenticity of an early Sanskrit work on Sri Caitanya's life by Kavi Karnapura. 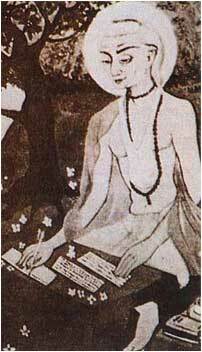 An elaborate collection of references from the writings of the Goswamis and several subsequent teachers, stringed together with comments in explaining the theology of raganuga-bhakti. This essay contains a broad overview of a great number of issues, including discussions on parampara, the issue of initiation, and the developments of ISKCON and Gaudiya Matha after the departure of their respective charismatic leaders. The position of a woman in Gaudiya Vaishnavism, historical and philosophical considerations, biographies of some well-known lady saints. The following essays found at other websites fall largely into the category of specialized themes. This article peeks into the inner realm of a Gaudiya Vaishnava, reviewing the underlying psychology and ethical values behind devotional engagement. Review of the early formative stages of Gaudiya Vaishnava tradition, discussions on the exercise of authority within the tradition, on guru-disciple relationship and so forth. Examining the history and implications of one of the most events in the early development of the Gaudiya Vaisnava tradition. A study of the history and theology Rasaraja-method of worship practiced among the descendants of Vamsivadananda in Baghnapada. This article discusses the history of Siksastakam, the eight verses written by Sri Chaitanya, providing us the explanations given by Krishnadas Kaviraja and Bhaktivinoda Thakura. An article studying the origins of Radha-bhakti, drawing from the writings of Jayadeva, Vidyapati, Surdas, Tamil poets and so forth. Some parallels with Christianity are drawn. A summary of Gaudiya Matha's history, it's split into initially two, and eventually dozens, of factions that formed after the departure of the founder, Bhaktisiddhanta Saraswati. An eloquent overview of the premises of raganuga-bhakti, this presentation supplies us with the core references from the writings of the acharyas explained in conjunction with the reasons of Sri Chaitanya's descent.